Microsoft Windows Malicious Software Removal Tool - Download ! The Microsoft Windows Malicious Software Removal Tool checks Windows Vista, WIndows 7, Windows XP, Windows 2000, and Windows Server 2003 computers for and helps remove infections by specific, prevalent malicious software—including Blaster, Sasser, and Mydoom. When the detection and removal process is complete, the tool displays a report describing the outcome, including which, if any, malicious software was detected and removed. The tool creates a log file named mrt.log in the %WINDIR%\debug folder. 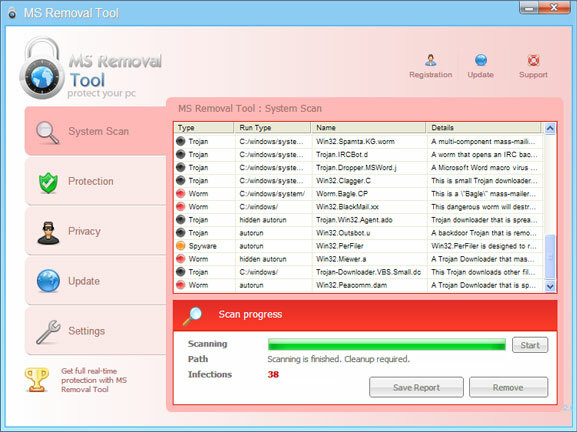 To download Malicious Software Removal Tool, click here.